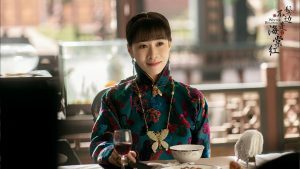 The Winter Begonia <鬓边不是海棠红> cast greeted the press for the first time this week to share their filming experiences on the show. 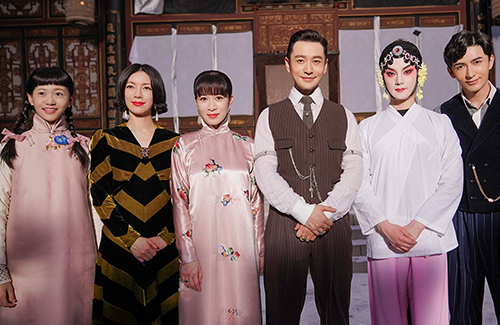 Starring Huang Xiaoming (黄晓明), Yin Zheng (尹正), and Charmaine Sheh (佘诗曼), Winter Begonia is based on the novel of the same name, which is set in 1930’s China and follows a patriotic businessman and a Kunqu cross-dressing performer who let go of their ambitions to serve their war-torn country together. 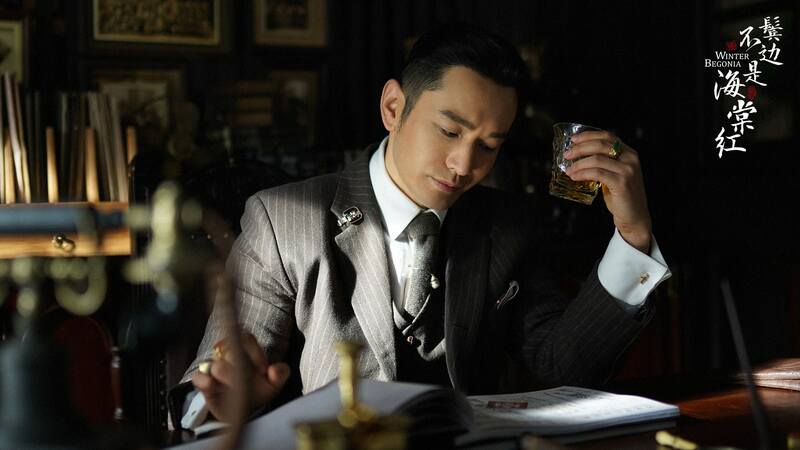 “Cheng Fengtai is much like myself,” said Huang Xiaoming. 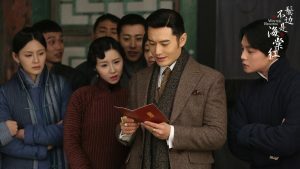 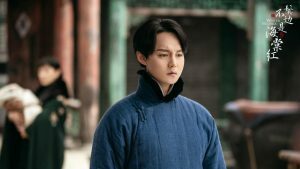 “He loves to take care of other people.” On working with Yin Zheng, who plays the Peking opera performer Shang Xirui, Xiaoming said, “I’m shocked at how talented he is, just like Shang Xirui himself.” Charmaine plays Xiaoming’s wife Fan Xiang’er, a character that did not exist in the original novel. 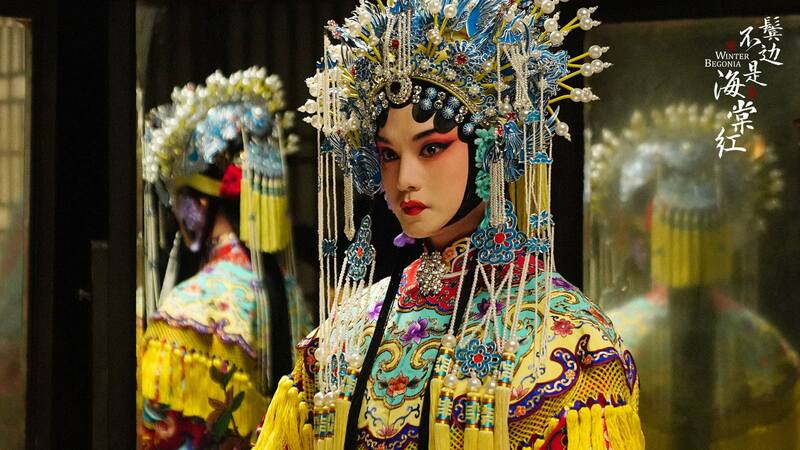 Peking opera is a cultural art, a national treasure that has been passed on from generations to generations. The cast said they hope the drama would bring more awareness of the beauty of Chinese opera to current generations. Winter Begonia, produced by Yu Zheng (于正), hire the same art director as last year’s hit drama Story of Yanxi Palace <延禧攻略>. 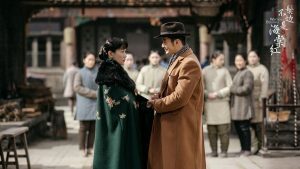 For a more realistic setting, the crew of Winter Begonia built the 1930’s Beijing streets from scratch, all inspired by real settings. A large part of the series will be set in Shuiyun Lou, Shang Xirui’s residence. The set pieces and design all reflect the personalities of the characters—Shuiyun Lou has Xirui’s family history scrolls and ancestral teachings, which all hint at Xirui’s history and past. 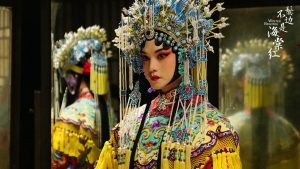 In the Cheng household, there are ponds and bamboo, reflecting Fengtai’s exotic style.